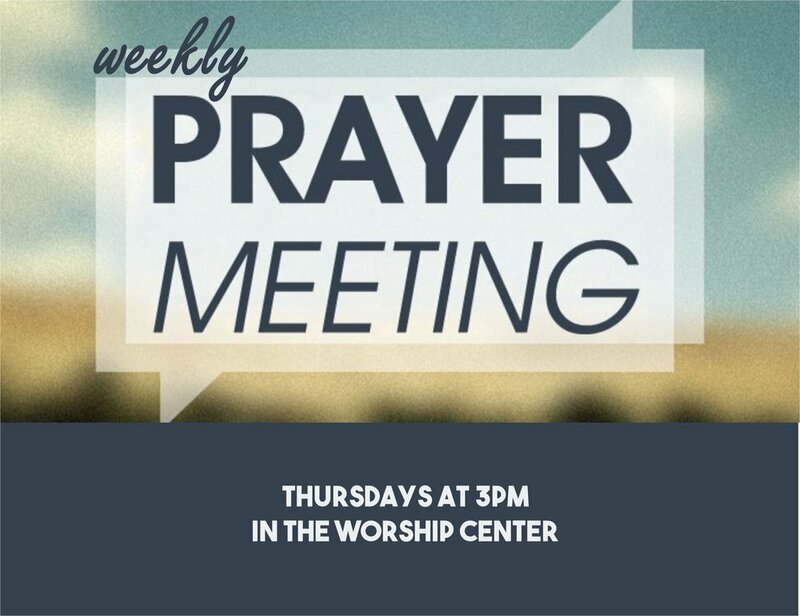 Everyone is invited to a weekly prayer meeting on Thursdays at 3pm in the Worship Center. Pastor Jack has encouraged us to be a church of prayer. Let's get together and pray!